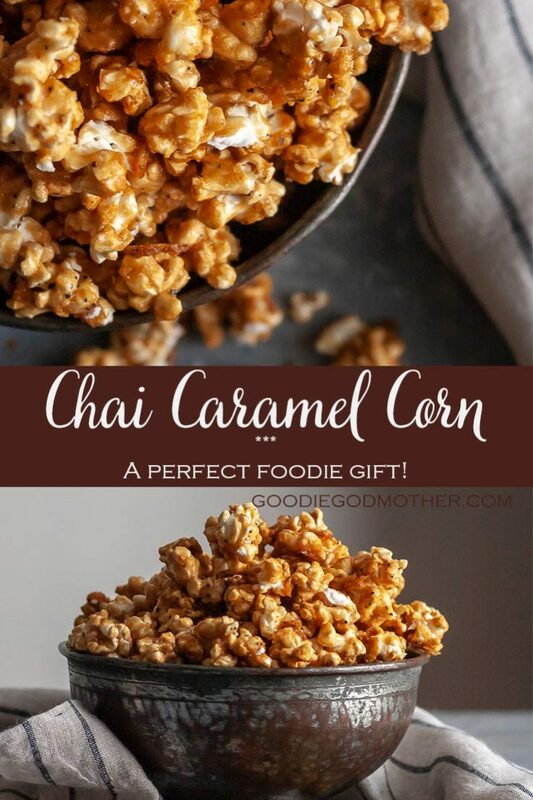 Crunchy, sweet, and a perfect foodie gift for tea lovers, this Chai Tea Caramel Corn recipe is sure to please! We’ve already established that this blog(ger) has a serious love affair with all things chai. It’s in pumpkin tiramisu, banana muffins, and macarons. And there are still MORE chai-infused recipes in my recipe list that will one day make it to the blog. 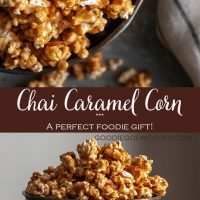 *takes last sip of chai from pink mug, gets ready to type the rest of this post* So are you really surprised to find a recipe for homemade chai tea caramel corn here? Probably not. This recipe is for my chai tea lovers and those who want a little sophistication with their snacking. It’s so easy to make, you don’t have to use corn syrup, and you still end up with a flavorful, richly caramelized, crunchy, crispy, totally addicting snack. 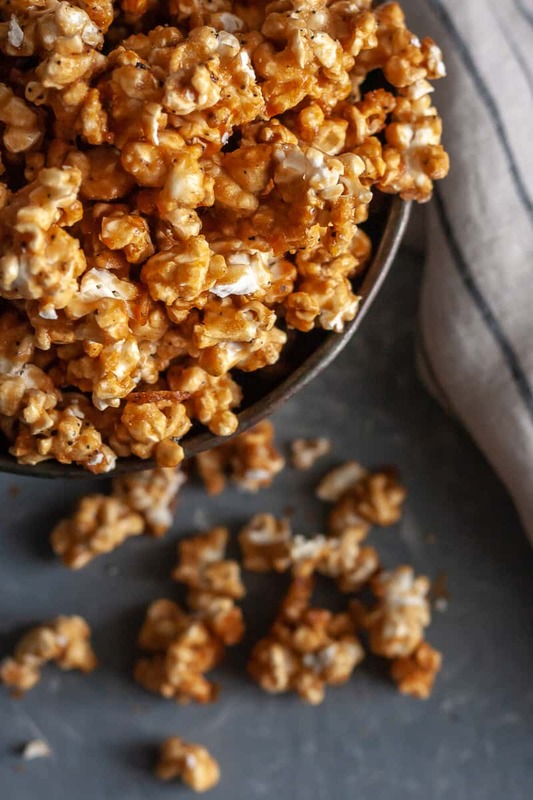 Homemade caramel corn in general is easy to make. At least, way easier than I thought when I decided to make some. Pop some popcorn, mix up the caramel coating, mix the popcorn and the caramel, then bake until crispy. I always use the old school popcorn kernels instead of the microwave bags. Partially it’s because the smell of microwave popcorn lingers FOREVER, and I don’t want pre-flavored popcorn. If you’ve never made old fashioned popcorn before, there are 2 easy methods that don’t require special equipment. What is this sorcery talking about microwaved popcorn without microwave popcorn bags??? But yes, it’s true. You just take 3ish tablespoons of popcorn kernels, put them in one of the old-school brown paper lunch sacks you had as a kid, fold down the top 2-3 times, and cook for 2-3 minutes until the popping slows to about 5 seconds between kernels. Easy! You will have to pop the popcorn in 2 rounds to get enough though… so plan accordingly and have 2 bags ready. Pull out a large heavy-bottomed pot with a lid. Pour about a tablespoon of oil at the bottom and 1/2 cup popcorn kernels. Cover and set over medium heat, shaking occasionally to make sure the kernels are covered with oil. 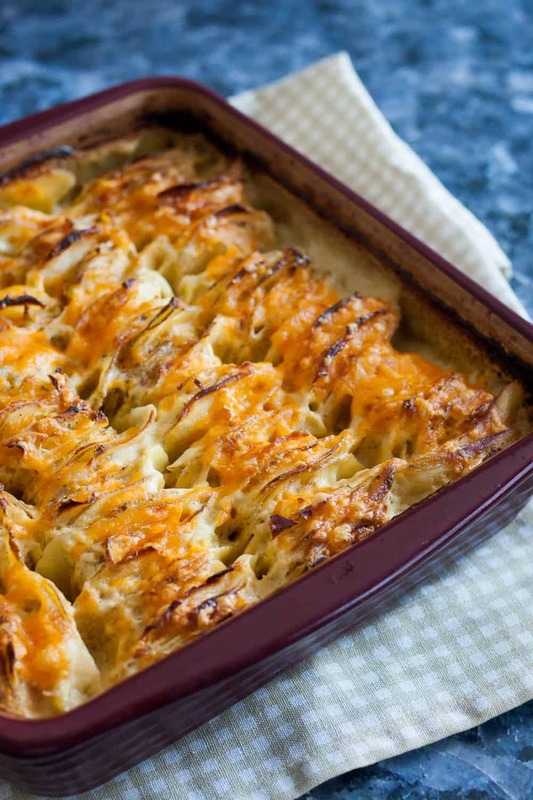 You can also use the method described here, which uses more oil, and makes a TON, but is really good. I used my favorite chai tea blend instead of mixing my own spices, and I love how it turned out. The flavors were all present, and you could see the flecks of the tea, and I only had to measure one spice instead of five. Simplicity is beautiful. 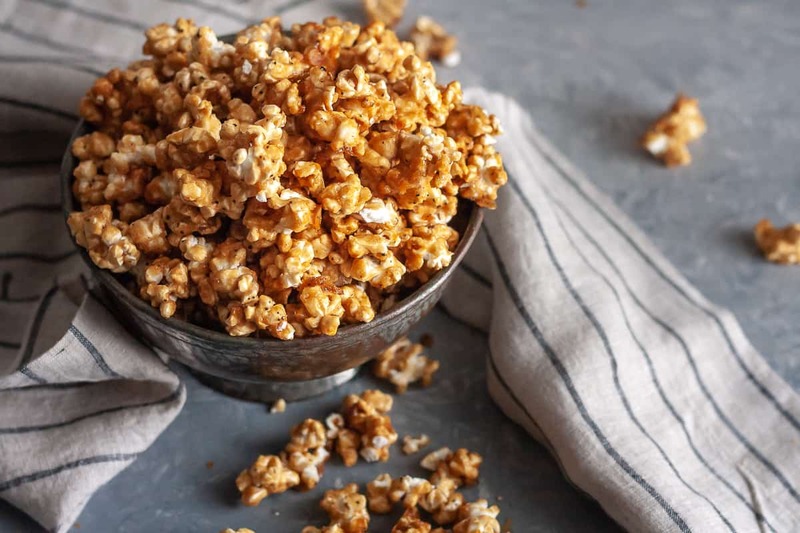 This recipe makes about 10 cups, which may sound like a lot, but when everyone is grabbing handfuls to snack on, it’s about an hour’s worth of popcorn. 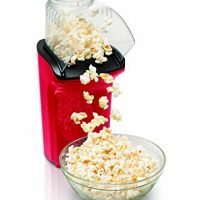 If you can hold off, store the cooled popcorn in an airtight container and keep it at room temperature for up to 10 days. 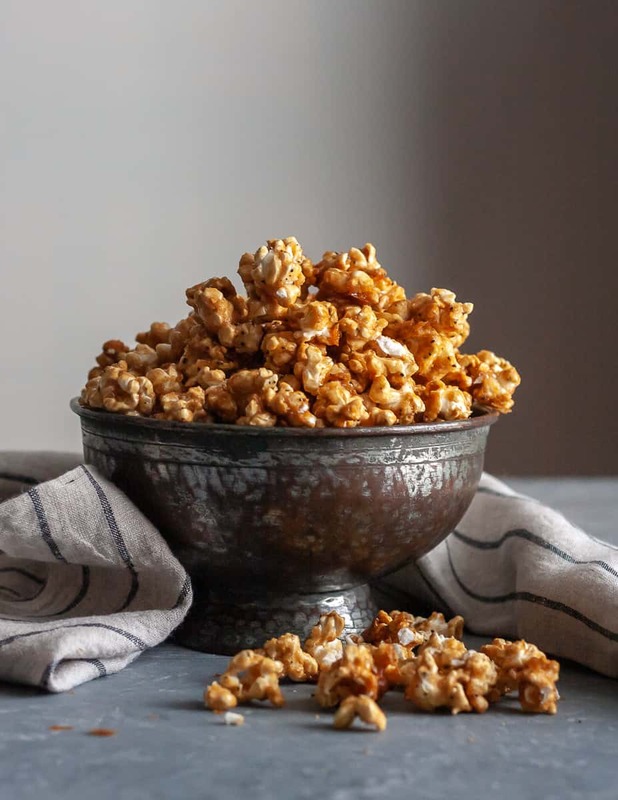 Crispy, crunchy, chai caramel corn made without corn syrup! Pop the popcorn using your preferred method (stovetop, machine, or microwave). I use two brown paper lunch bags with 1/4 c unpopped popcorn in each, microwaved on high for 2 minutes, or until popping slows to 5 seconds between kernels. To remove unpopped kernels, pour the bags into a large bowl, shake the bowl so the unpopped kernels fall to the bottom, and scoop out the popped popcorn. Discard the unpopped kernels. In a 2 quart saucepan, melt the butter over medium heat. Add the sugar, salt, and honey or corn syrup. Bring to a boil and boil for 5 minutes, stirring constantly with a wooden spoon (plastic spatulas can melt if they aren't heat resistant at high temperatures!). You don't need a candy thermometer, but if you prefer to use one, I bring the mixture up to 290-295 F.
Remove the caramel coating from the heat and stir in the baking soda, vanilla extract, and chai tea. Keep stirring until the bubbles subside. Once the popcorn has been coated in the caramel mixture, divide it between the two baking sheets, spreading into a single layer. It's okay if the popcorn clumps a bit. 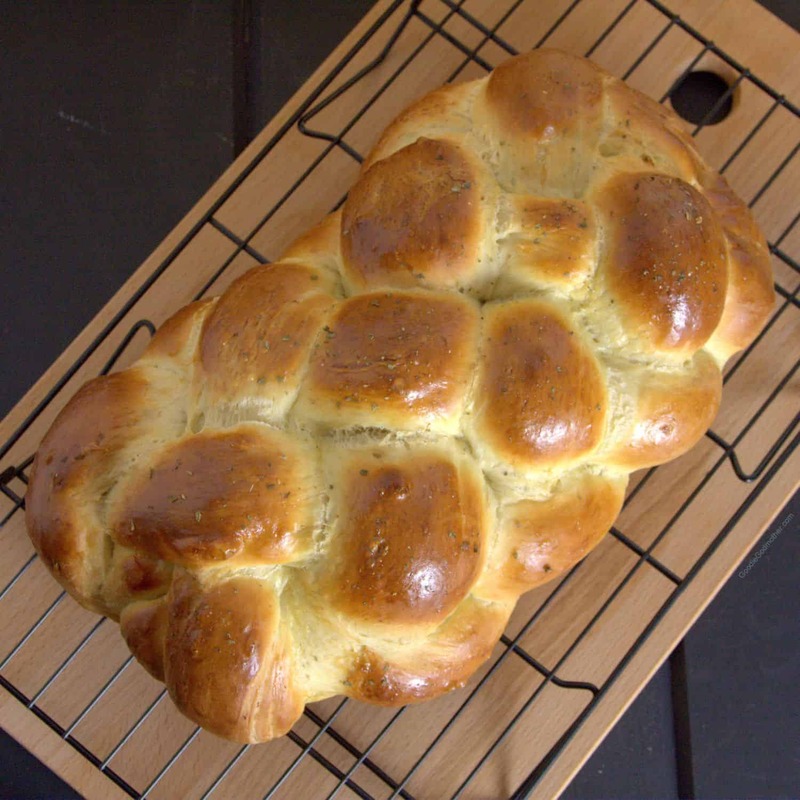 **I made this recipe without corn syrup, using honey as my inverse sugar to prevent crystallization. The honey flavor does come through in the final product. If you don't want honey flavor in your chai caramel corn, use corn syrup. 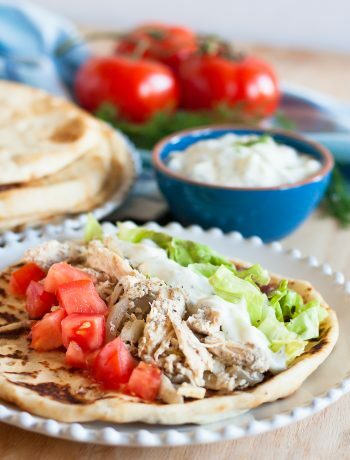 I've made this both ways and both are delicious! 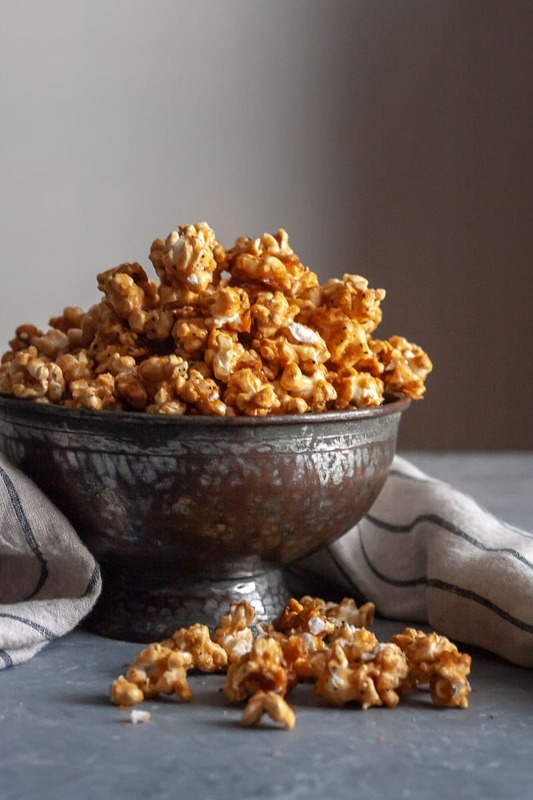 You just need an inverse sugar of some sort to prevent crystallization and get carnival-worthy caramel corn. Thank you so much! I hope you’ll give it a try!